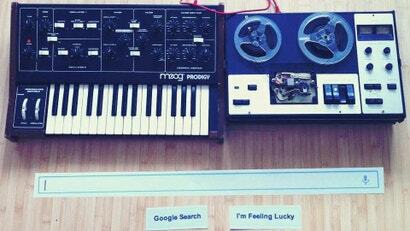 Today's Google Doodle for Robert Moog's birthday is amazingly cool. The only thing cooler than a browser-based analogue synthesiser hooked up to a digital reel-to-reel tape machine is, well, a real Moog synthesiser hooked up to an actual tape machine. 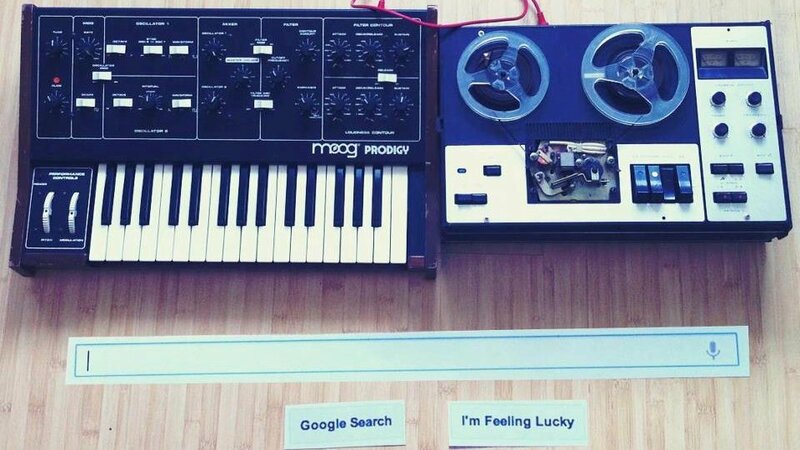 Props to Reddit user SocialChameleon for throwing down old school and recreating today's Google Search page with real gear. Compare the image above to the screenshot of the actual search page below.